Liftomatic™ LOM4 High Volume Series | David's Inc.
"Parrot-Beak®" Equipment for High Volume Drum Handling Routines. The original FOUR drum handler to move 1-4 drums at a time! 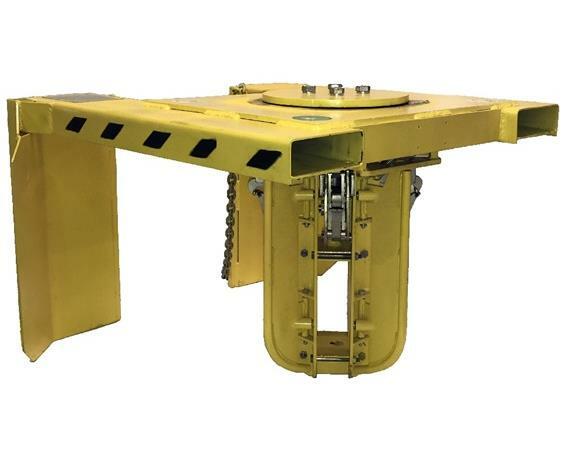 Liftomatic’s LOM4 series is ideal for pallet change-outs, long distance drum movement routines, truck or container loading, or every day high-volume drum handling! The LOM4 “Parrot-Beak®” operated series drum handlers will provide outstanding efficiency for nearly any fast-paced drum handling operation. 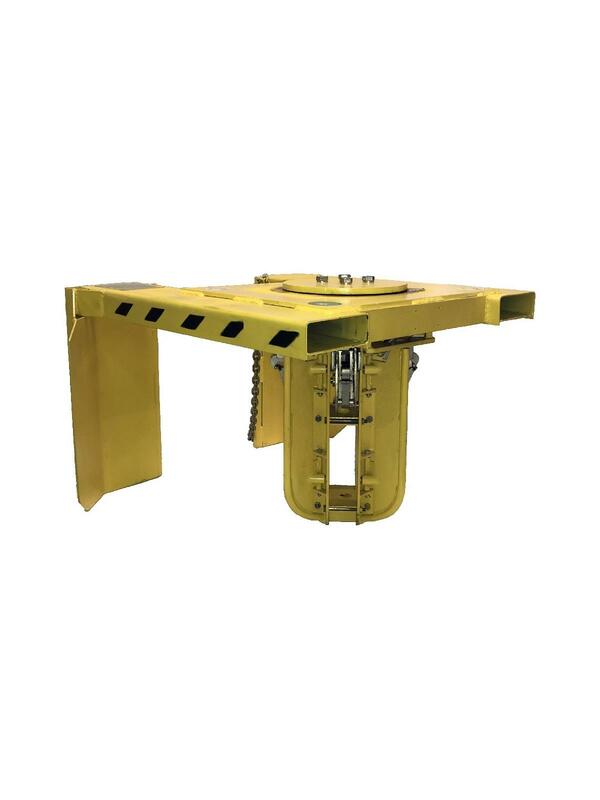 Standard models include slide on fork mounted, carriage mounted, and short frame model units designed for loading and unloading overseas shipping containers. The spring-loaded cone assembly will help guide the unit into the center opening of four drums and on the uplift, the mechanical clamping system will safely engage from one to four drums at a time. The reverse process will disengage the drums. All standard fork mounted units come standard with a safety chain. FOB Shipping Point. 38 x 28 x 33"38 28 33"